3 Makeup Brushes from eBay You Need! Remember by eBay Bargains - Brush Edition post last week? Well a few of the brushes I mentioned I bought turned up the next day. Woop woop for speedy delivery! But the best thing is that they are actually amazing! Like I needed to blog about them ASAP, amazing! All 3 brushes came from the same seller and cost £6.21 in total... yes, that's for all of them including p&p! And with each brush offering something different and unlike anything else I own I'm just so so pleased with them. Below is a more detailed look at each and how I've been using them. First up my favourite of the bunch! 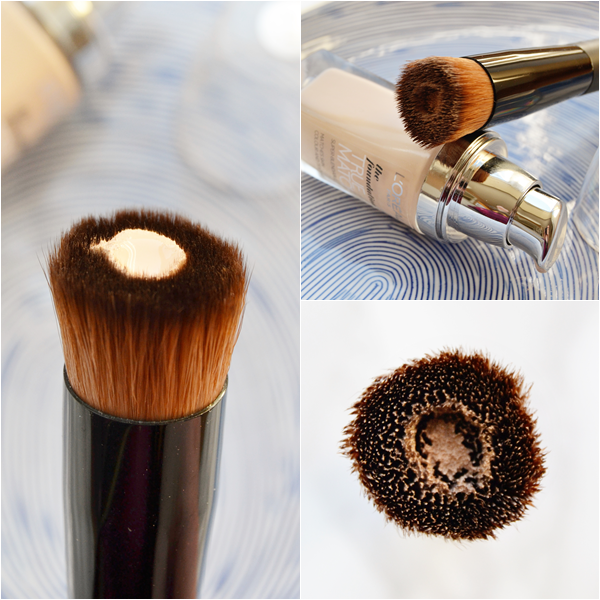 This is a wonderful foundation brush that offers something totally different - a crop circle! Okay, it's technically called a fluid reservoir and it's aimed at giving a no mess, flawless application... very much like the Bare Minerals Perfecting Face Brush which is a pricey £24.00. What I love about this brush other than it feeling so so soft is that foundation is almost held in the brush and evenly buffed into the skin for such an amazing finish. This truly does give such just a perfect application and feels so different to use even compared to a standard foundation buffing/blending brush. Already purchased another one of these in case the eBay seller stops selling them! Really very impressed with this. So this was certainly a wishful purchase as I mainly bought it on the fact it looked oh so similar to the ridiculously expensive Nars Artisan Brush (it's £43 FYI?!) and I had my fingers crossed it would actually be a good brush as well. And thankfully it is! Of course I don't own the Nars Artisan Brush to compare it against however I'm suitably impressed with it. The domed shape much like the Nars brush is ideal for applying highlighter or blusher to the cheeks and is quite precise; you can really focus on the exact part of the cheek you want to place product. But what I really love about the brush is how light it feels on the skin, it just brushes over giving a wash of colour that you can build up. 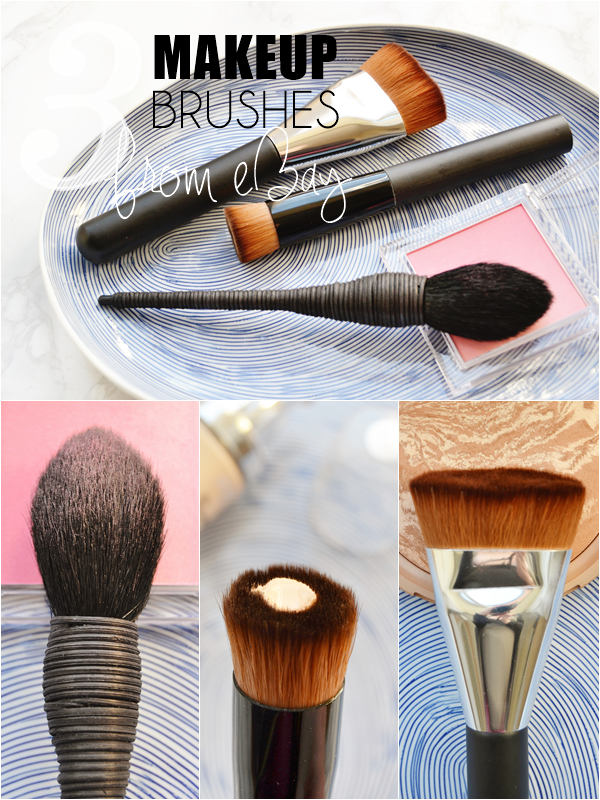 So if you are heavy handed when it comes to applying blush or love that beautiful flushed cheeks look, I know I do, then this is the brush for you. I also love, love, love the hand-spun handle - just perfect! Lastly a different kind of contouring brush for me. 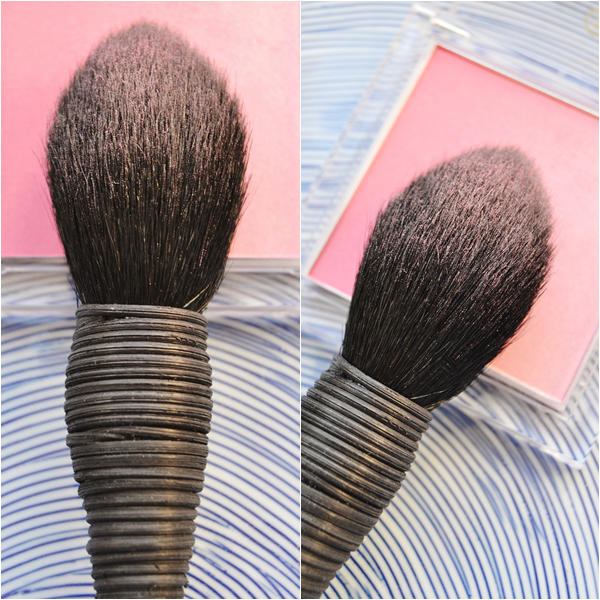 This isn't a dupe for anything however if you love to contour you need to try this brush! Unlike other contouring brush I own this seems to be the ideal size and shape to get under the cheek bone area and really adds good definition before going in with a soft fluffy blending brush to blend everything out and get rid of them harsh lines. 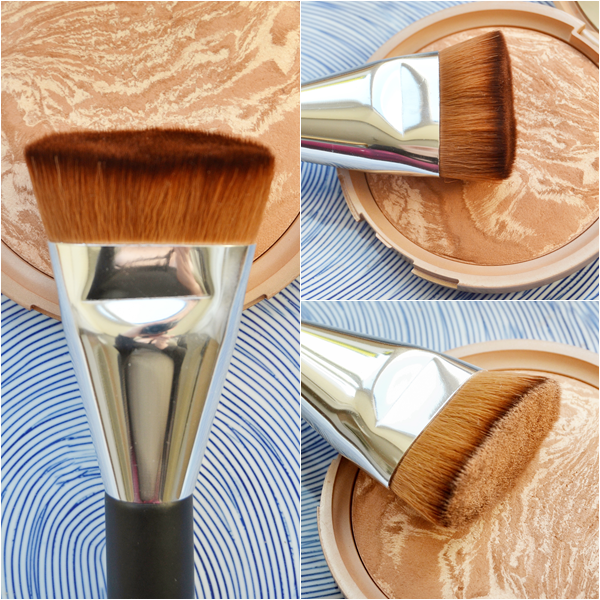 Also this seems to be ideal for both powder and cream bronzers as the tip of the brush can be blotted into whichever product, picking up just the right amount. I can see this fast becoming my favourite brush to contour with! These really are some amazing brushes for the price!